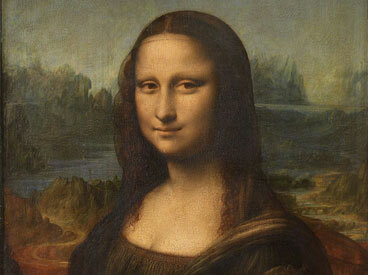 When the man who stole the Mona Lisa was apprehended in December 1913, he told the Italian police he had acted alone. But the story Post journalist Karl Decker heard from a potential accomplice was much more elaborate and devious–if it was true at all. One hundred years ago this week, police in Florence, Italy, announced they had recovered the Mona Lisa, which had been stolen from the Louvre two years earlier. They had also caught the thief–the mastermind behind the world’s most famous art theft. At his trial, Perugia described how he’d managed the theft. Having worked at the Louvre for several years, he was familiar with its layout, security, and maintenance staff. He also knew the Louvre was closed to the public on Mondays for maintenance. So he entered the Louvre on Sunday afternoon and locked himself into a broom closet overnight. The next morning, he donned a worker’s smock and walked, unnoticed, into the Salon Carré, where the Mona Lisa hung. When the gallery was empty of any maintenance workers, he simply took the painting down from the wall and hurried off to a stairway. There, he knocked the painting out of its frame, threw his coat over it, and simply walked away, no doubt fighting the urge to run. Perugia, now regarded in Italy as a patriot, received a light sentence in an Italian court. The painting toured briefly before returning to Paris. And that, presumably, was the end of the story. No gang. No elaborate heist. No scheme to sell the painting for a fabulous sum. No mastermind. Or was there? One year later, journalist Karl Decker was sitting in a bar in Casablanca with an old acquaintance: Eduardo, Marques de Valfierno, a successful con man. And a chance remark by Decker prompted Valfiero to admit he was the man who’d planned the theft of the Mona Lisa. His plan was an elaborate scheme to sell the painting, not once, but over and over, without ever letting go of the painting. The key to his plan was a skilled forger who could capture “every little trick of the artist who had painted it, duplicating his brush strokes, matching colors so perfectly that copy and original were indistinguishable.” But Valfierno realized that replicating a painting wasn’t the biggest challenge in selling forged art. Many buyers were interested only in the value of the art; few could tell a Murillo from a Rembrandt. The real challenge was explaining to buyers why the stolen painting they had just bought could still be seen in its gallery. Valfierno got around this objection by assuring the buyer it was merely a copy. Later, he developed a more convincing method to prove the forgeries he sold were ‘authentic.’ He would accompany a buyer to a public gallery and take him to a painting he proposed to steal. When no one was looking, Valfierno told the buyer to lift the picture frame and make a mark on the back of the canvas with a pen. A week later, Valfierno would bring the painting to the buyer, and there, on the back, was the buyer’s original mark. The trick, Valfierno told Decker, was to access the painting ahead of time, just long enough to slip a forged copy inside the picture frame so that it rested behind the original. When the buyer arrived, he would mark the back of the forgery. After the buyer left, Valfierno simply slipped the forgery out of the frame, leaving the original untouched, which the buyer believed was a copy. This ploy proved so successful, Valfierno was tempted to think of an even more lucrative scheme. Why not try to sell a truly legendary painting? Why not the Mona Lisa? And why not sell it more than once? So Valfierno found six separate art collectors in America willing to pay millions for the stolen Mona Lisa. Valfierno’s forger then painted six Mona Lisa forgeries. Early in 1911, the forgeries were brought through New York customs one at a time, to avoid attracting attention. Then Valfierno sent Vincenzo Perugia into the Louvre along with two accomplices. Once the painting was in Valfierno’s possession, he told his associates in New York to approach the buyers and tell them the painting was on its way. 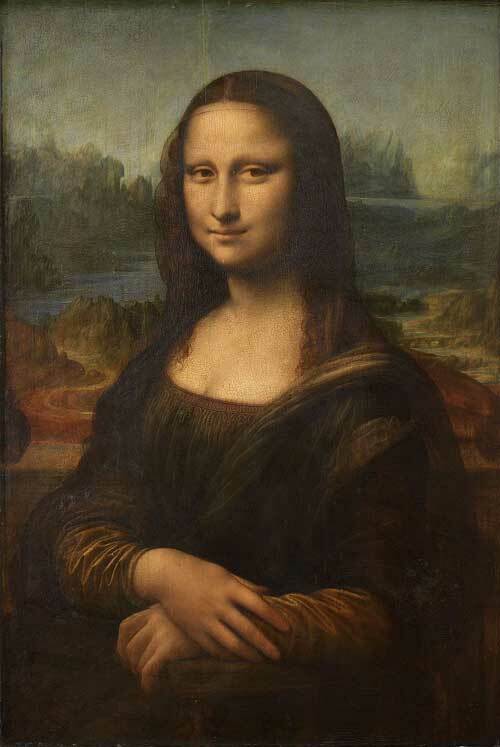 The very public disappearance of the Mona Lisa convinced buyers they had purchased the original. After the money returned from America, the gang split up the loot and separated. The only problem with the plan was Perugia. He stole the Mona Lisa again, this time from Valfierno, and took it to Italy with the intention of selling it. When caught, he said nothing about Valfierno, his accomplices, the forgeries, or their buyers, fearing it would damage his alibi of being a patriotic thief. When the original was returned to Paris, the American buyers were free to assume that it was simply another forgery. If not, they were free to go to the authorities, where they would probably be arrested as an accessory to very grand larceny. It was an intriguing story and, for years, the Post story (“Why and How the Mona Lisa Was Stolen,” June 25, 1932) was accepted as the full explanation. Several sources still claim the theft proceeded according to Valfierno’s plans. But critics have pointed out several flaws. For example, Valfierno claimed three men were needed to lift the 220-pound Mona Lisa. However, a Louvre source reports that the Mona Lisa weighs only 20 pounds. Perugia could easily have carried off the masterpiece without any help. Valfierno tells Decker of a tense moment when the theft is stalled because a stolen key doesn’t fit an exit door. But a helpful guard comes along and unlocks it for Perugia and his confederates. This incident is never mentioned in the subsequent investigation. Valfierno’s brilliant scheme was not an original stroke of genius, either. Back in 1911, a New York paper reported a thief named Eddie Geurin had talked of stealing the Mona Lisa and selling copies to rich collectors. Once you question whether Valfierno made up the story, you have to wonder whether Decker made up Valfierno. Several articles about the theft show a photograph of an Argentine con man of that name, but you’ll find no information about him other than what Decker wrote. There is really no information to substantiate the story; we only have the word of Karl Decker. As such, it remains a story. It would have been discredited as fact by now except that the so many people want to hear the version of the story with a criminal mastermind, whether or not it’s true.